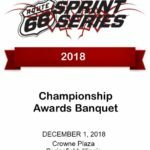 With almost 25 continuous years of promoting great kart racing, the Route 66 Sprint Series is easily the longest running Sprint Karting Series in the USA. Much has changed since the early days, but one thing has remained constant, the Series listens to the racers. And right now, the racers are worried…worried that as karting continues to reach new heights in popularity and professionalism, we are slowly losing some of the “fun” out of the sport. Most of us got into karting because it was fun, but sometimes, in the drive to improve, we start to lose sight of the fun. 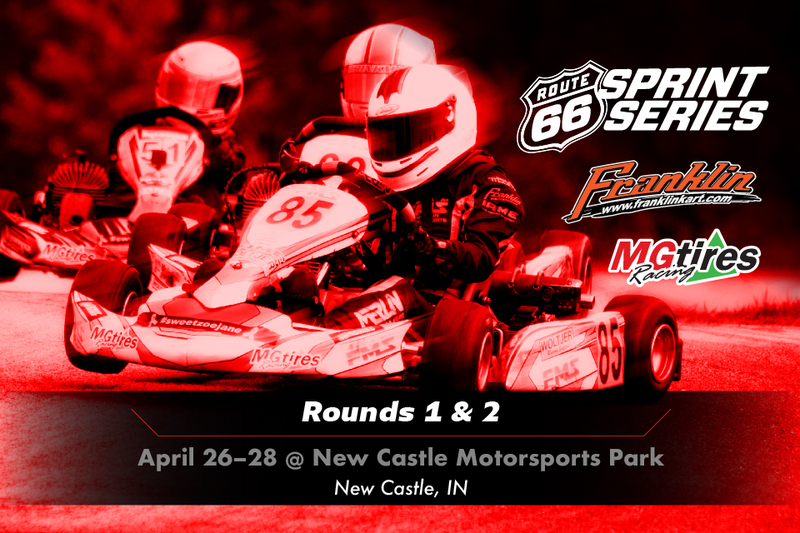 So, in an effort to bring back a more fun, and relaxed atmosphere, we are going to try a few things at Round 1 in New Castle. First, there will be no “Timeline” like we have had for the past few years. There will be a general schedule, and a race order (Schedule of Events). This will free up some of the mandatory “dead time” needed between sessions, and hopefully create a little more laid back environment. 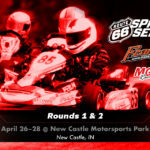 We will be calling classes to the grid per the race order, and you are highly encouraged to bring a FM radio to NCMP to receive the PA in your pit area. There will also be a third round of Saturday practice added, to give those that can’t free up a Friday to practice, a little more time. This new Schedule of Events will be posted to the series website within the next couple days. Second, Tech will be at a more relaxed level. This doesn’t mean that we don’t expect everyone to play by the rules, but we will try to make things a little easier on the racer. You will not need to scan in rain tires. If it rains, you must use MG WT rain tires, but you can use new or old, whatever you like. You must still scan in your slick tires, and qualify on new tires, per your normal class rules. You will not need to present your chassis for banding in Pre-Tech. 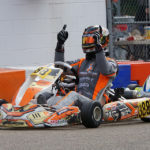 You will still turn in your Pre-Tech sheet, and present your helmet and chest protector (where applicable) for inspection, but your kart safety tech is your responsibility. Push Back Bumper (PBB): While the PBB is still required and in effect, we will be softening the penalties and/or conditions where penalties are issued. This is a test for this event, and we will announce the criteria at the Driver’s Meeting. And finally, you will no longer receive a driver’s packet when you check in at Registration. If you are pre-entered, just go to the Series trailer (when it opens) and Check-In. When you check-in, you’ll receive your Pre-Tech form. If you register trackside, you can do it all at once. Track maps, Series schedules, etc will be available at the Trailer if you would like one. Once again, we hope that these changes will contribute to a less intimidating experience for new racers, and a more relaxed experience for all. 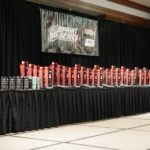 The Route 66 Series has always been both a stepping stone from Club racing to National racing, and a home for great Regional competition. This means that fun, learning, and improving are our core values. And we love having you folks be a part of it. Great Tracks, Great Racing, and Great People. Come join the fun! !